Cities in India are often known for pollution, over-population and a general lack of urban planning. The state of Andhra Pradesh has just decided to put an end to that notion by proposing to make the state an Innovation Valley and its capital Amaravati as an Innovation Hub! The Chief Minister of Andhra Pradesh Shri Chandrababu Naidu recently announced that Amravati will be the hub of the innovation focus of the state and will comprise nine cities, vi. Media City, Government City, Justice City, Finance City, Knowledge City, Tourism City, Electronics City and Sports City. “The crucial part of Amaravati will be the Amaravati Media City (AMC), which will focus on media, entertainment, social media and other cutting edge technologies. 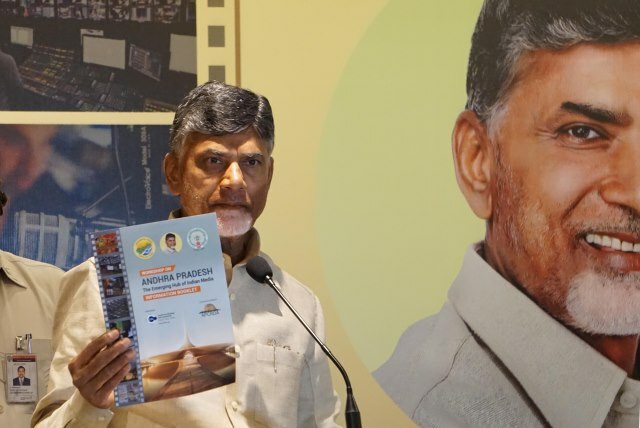 This city will act as its hub,” the CM told investors and businessmen at a workshop titled Andhra Pradesh: The Emerging Hub of Indian Media organised by the Centre for Strategy and Leadership. The CM stressed that his government is constructing 9 cities and the vision is to make them not just the best cities in terms of technology and services, but as Happy Cities with a perfect work-life balance for its residents. “No compromises will be made. These cities will not just be sustainable and state-of-the-art, but will bring out the best in people as these cities will strive to help its residents find a perfect work-life balance so that they can commit themselves to being out the best in themselves,” the Chief Minister further explained. On Media City, Shri Naidu said that it will act as the hub for 4 elements – Films and Television, Animation, VFX and Gaming, Digital Advertising and Social Media and Telecom. “Amaravati will be India’s first future city that will fuel the growth of India, particularly southern parts of India. It will compete with world’s top global cities. It will be hub of all major activities in India. It will also attract other countries and organisations to associate and invest,” said Vikas Sharma, Director, Centre for Strategy and Leadership. With Southern India rising to this urban renewal, it is time that cities in all other parts of India also catch up and carefully revisit their urban growth strategies. NextA Map of the World That Could Save Your Life!